This post took a lot longer than I expected, and bears no resemblance at all to the one I started at first. That post needs an album or two that I don’t have yet. For this one, when my first idea failed, I thought I would just like to hear the voices of some women. For me, that is musical comfort food. I had all of the songs for this post picked when I realized that I had stumbled into something deeper. This post, then, is about the boundaries that women live with, and what happens when they break out of them. Some of these boundaries are imposed by society, while others arise from the dynamics of a particular relationship. Historically, women have been restricted much more than men by these forces, as well as by religion and even law. In the United States, home of the free, women could not own property at first, and it took even longer for them to get the right to vote. But the songs I am presenting here are not feminist tracts, or even political songs as such. Rather, they are personal statements by five eloquent songwriters. No Shortcuts is performed as an incantation, complete with heartbeat percussion. The journey it describes seems at first to be a physical one, but it soon becomes apparent that it is a metaphor, that the journey is also emotional and spiritual. The song could serve as an overture for this post, since many journeys are taken here. Heather Maloney is telling us, in her impassioned voice, that we can not simply break through boundaries, that there must be a newly created structure to replace them. Freedom is the ability to define that structure for yourself. Maloney is not limited in the way that some songwriters and artists are. Her voice can convey gravity in a mid-alto range, but she can also soar into a high soprano for bursts of exuberance or flights of fancy. Her album, Time & Pocket Change, does not fit neatly into any musical genre, but it is a coherent document, held together by the strength of her personality. Maloney looks at life from a slightly odd angle, and in doing so, helps us see. I have attended orchestra concerts, and arrived early enough to hear the musicians warming up. You hear the sounds of familiar instruments, but it is also a kind of noise, with no apparent direction or meaning. As the warm up progresses, some of the musicians begin to play passages of pieces, and you begin to think that the whole thing may soon coalesce into something coherent. 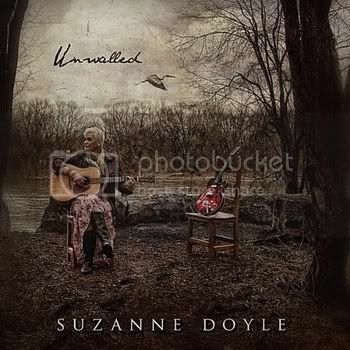 Suzanne Doyle’s song Third Day begins with a brief moment that reminds me of this, but the song does coalesce into something powerful and mysterious, before descending back into musical noise at the end. This fits her theme perfectly. Third Day has three characters, identified only by pronouns. “She” appears first, and is the only one whose gender the listener can be sure of. A relationship has ended, and “she” finds herself alone for at least the first time in a very long time. Her boundaries were defined by the relationship, and now those boundaries are gone. She must build new ones, and the idea is frightening to her. Next, we meet “You”. “You” is as much the idea of these boundaries as it is a person. “You” is the old order in her life, that she is not ready to give up, but must. After getting to know you for a while, the listener begins to wonder why the pronouns are used the way they are. Who is narrating this? That turns out to be “I”. “I”’s situation seems to parallel “She”’s. She and I are both leaving. Doyle has written the song so that it is not clear whether “You” is going with “I” or staying behind. What is clear is that there was a structure in place that affected all three characters, and now it is gone. Regardless of who initiated this change or why, it is clear that all three characters must now find their ways anew. Doyle leaves it ambiguous, but that is her intention. This is the kind of song that will inspire great conversations as to its meaning. Doyle has a wonderful smoky alto voice, and her singing makes it clear that she cares deeply about these characters. She is a fascinating writer, and her musical settings work beautifully. A Place Under the Sun is a love song. 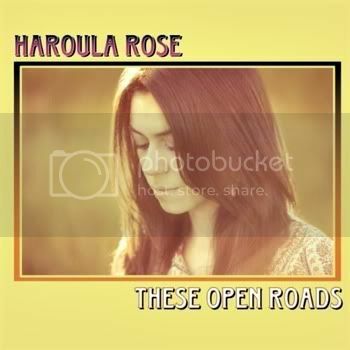 Haroula Rose is offering her lover a refuge from the fears expressed in the previous two songs. The tenderness is something you can almost stir with a spoon here, and it is a beautiful thing. The music does something quite surprising. 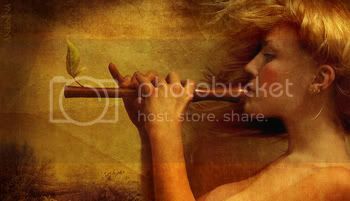 The song begins as a folk ballad, with the mood led by banjo and cello. Eventually, a piano joins the mix, but played with a light touch. The arrangement remains mostly acoustic, but the song becomes a rock song, a power ballad if you will. It’s a question of how the instruments are used, and it is never over the top. Actually, it really works beautifully. The arrangements on These Open Roads range from folk to rock, with even some Motown influences at times. Throughout, the lyrics are heartfelt, the vocals warm and emotional, and the arrangements endlessly creative. Grace Askew isn’t waiting to get old. Metaphorically, she’s wearing purple now, and Go My Way is her declaration of independence. Askew sings in a smoky torch alto, and her voice is a powerful instrument. When I reviewed her last album, I enjoyed her jazzy blues. 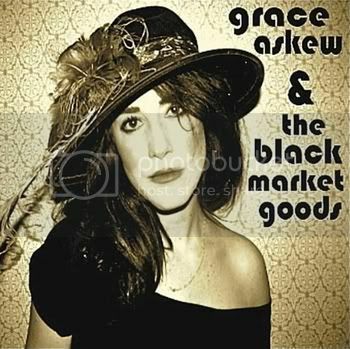 But her new band, Black Market Goods, pushes her to new heights. I can see now how her past work was only a warm up. Here, Askew finds new strength. The band adds some twang to the mix, and it’s all to the good. Some singers can slur their words to great effect, helping them to create a certain type of character. That was Askew’s strategy before, and I enjoyed the results. But now she is singing her words clearly, possibly so that they can be made out above the band, and this frees her. Go My Way still presents a character from a lower stratum of society, but now there is a sense of the character’s personal strength that wasn’t there before. It’s going to be a joy to see how this band develops going forward. 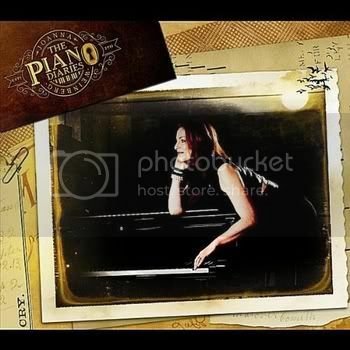 The Piano Diaries is a collection of songs that came to Joanna Weinberg as a result of taking piano lessons for the first time in many years. It’s hardly surprising that many of the songs are about the piano, or at least about making music. Daughters of the Empire finds Weinberg thinking about where the ivory comes from to make pianos. It begins as an account of an elephant hunt from 200 years ago, but by the end, Weinberg is imagining young ladies chained to Victorian-seeming mores, bored, and dependent upon their fathers to get them that piano. The contrast between the confined ladies and the wild but doomed animal may not be intended as a statement on the condition of women in those times, but it struck me that way. If that was the intended message, it works quite powerfully. Throughout the album, Weinberg shows herself to be an inspired and imaginative songwriter, which is why I find this interpretation of Daughters of the Empire plausible. The music has flavors of jazz and English music hall, and they combine in delightful ways. Joanna Weinberg is a talent to keep an eye on.